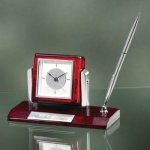 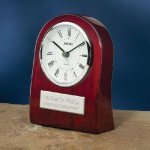 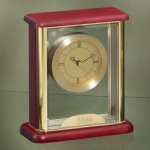 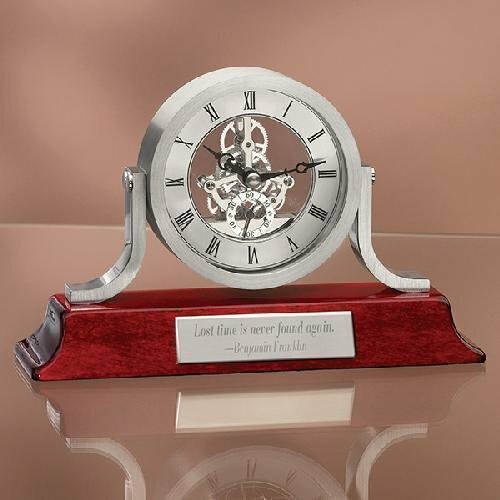 Beautiful desk clock with exposed gears and brushed chrome face sit atop a piano finish wood base. 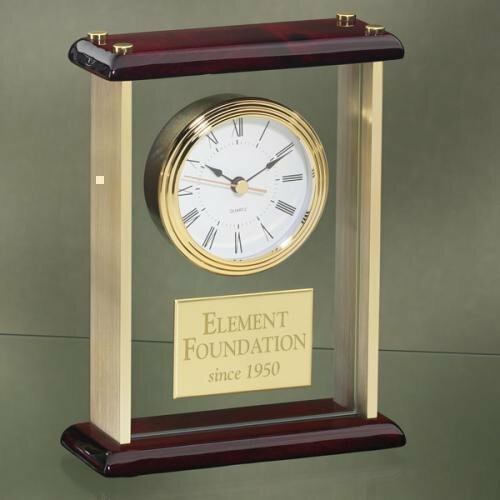 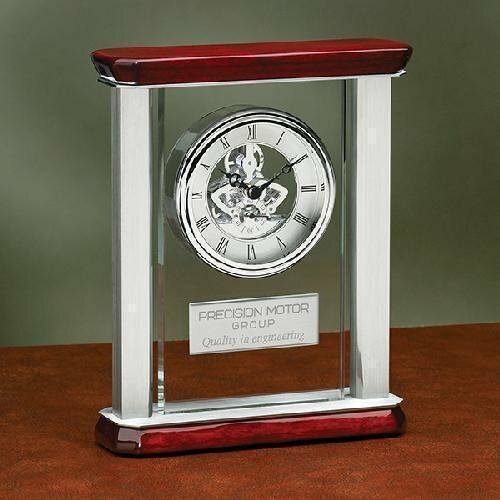 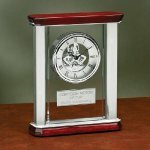 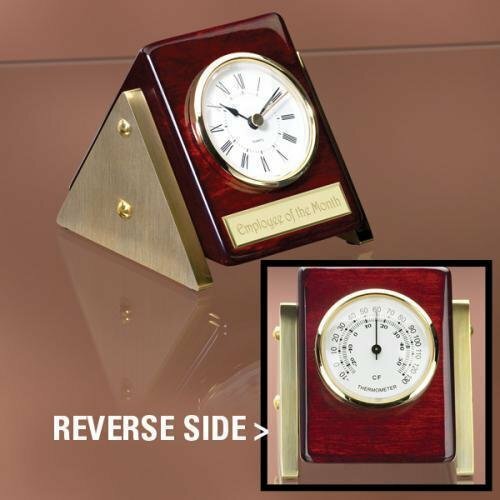 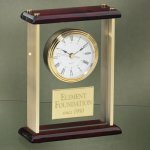 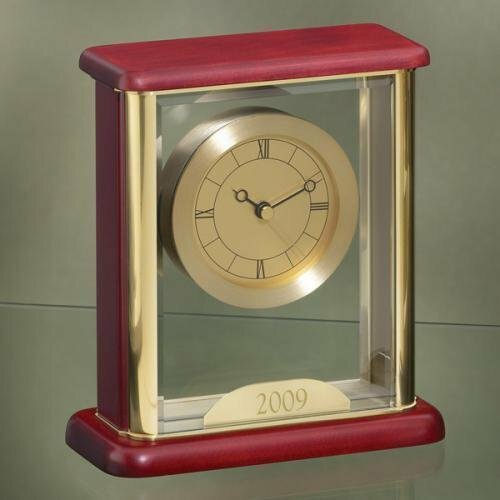 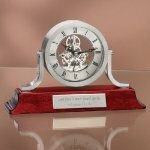 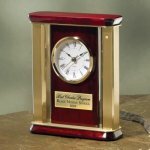 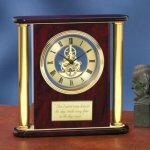 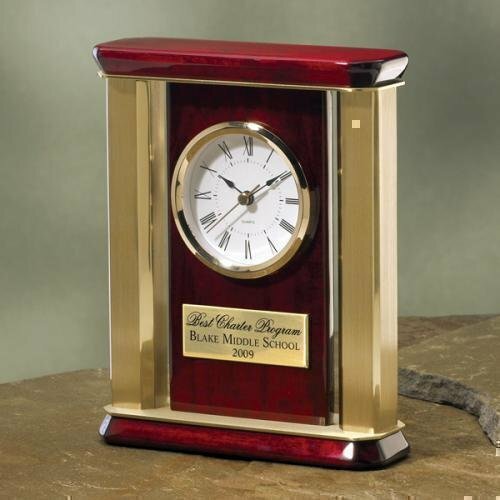 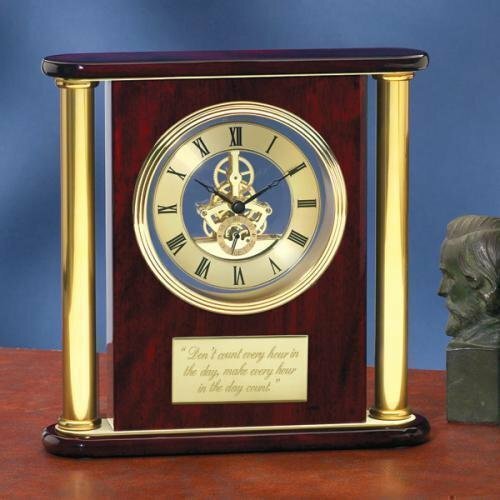 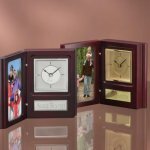 Includes an engraving plate measuring 3-1/4" x 7/8"
Large mantle clock has exposed gear face displayed on thick glass center panel. 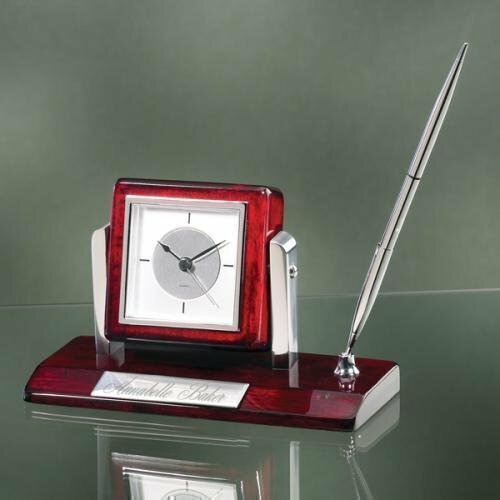 It is flanked by 2 chrome metal pillars and has a piano finish wood base. It includes an engraving plate measuring 3-1/4" x 1-1/4"
Price includes FREE ENGRAVING up to 50 Characters.